It's been five months since a privacy group filed a complaint with the Federal Trade Commission (FTC) about toys that allegedly spy on children, but there's been a notable lack of action since then, and now Sen. Mark Warner (D-Va.) wants to know why. 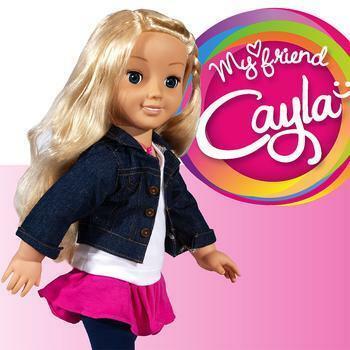 Warner has sent a letter to Acting FTC Chairwoman Maureen Ohlhausen asking her whether the commission has "taken any action with respect to 'My Friend Cayla' or other products manufactured by Genesis Toys." "I worry that protections for children are not keeping pace with consumer and technology trends shaping the market for these products," Warner said in the letter. He noted that the Electronic Privacy Information Center (EPIC) filed a complaint with the FTC last December alleging that the toys My Friend Cayla and i-Que Intelligent Robot violate federal privacy laws. "A message you can hug"
According to multiple media reports, CloudPets, a product line manufactured by Spiral Toys and marketed as ‘a message you can hug,’ stored customers’ personal data in an insecure, public-facing online database. CloudPets reportedly exposed over 800,000 customer credentials and more than two million voice recordings sent between parents and children. Subsequent reports have raised questions about security at the device level, with individuals able to hack CloudPets’ toys and remotely control the devices, including the microphone, if they are within Bluetooth range. "We all know that many of these so-called ‘smart’ devices aren’t so smart at protecting the safety and security of our kids,” said James P. Steyer, Founder and CEO of Common Sense Media. “Children's toys with weak security can put not just kids' personal information at risk, but imperil even their innermost thoughts."